Eleven North Lanarkshire education workers have been investigated for allegedly abusing human resources procedures, giving rise to accusations of misconduct including nepotism and overpayment. The identities of the employees have been withheld from the public, but the issues are covered in a report, which was considered at a meeting of the council’s Audit and Scrutiny Panel. During the meeting, Airdrie North councillor Tommy Morgan objected to the amount of detail which was redacted in the report, such as evidence of any family relationships between the employees. Councillor Morgan also referred to one section of the report, which noted a lack of documentation recording exactly who offered one of the questionable appointments, as “the most frightening aspect of all this.” “The president’s brain is missing,” he added. Many of the issues highlighted involved irregularities in the processes in which people were hired to work for the council’s education department. One man was employed for a post, which was never advertised, without submitting an application form and being the only person interviewed. Also, no background checks were carried out until he had already begun working in his non-teaching role. Another man was being paid a full-time salary despite only actually working two days a week, and this had not been reported to management or HR as an issue. Of the 11 staff involved in these incidents, six have left their jobs with North Lanarkshire Council and only the remaining five have been interviewed. The internal audit also found that there were several issues with how jobs were being created, management of supply teachers, and problems with the staffing records on the council database. 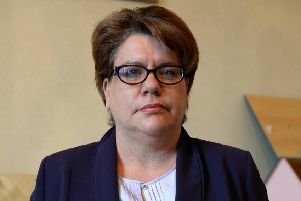 Several members of the panel wanted police to investigate for possible fraud, but were assured the internal audit had found no evidence of criminal activity. 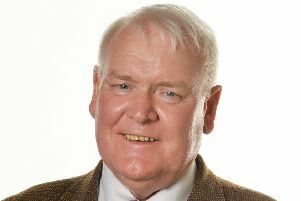 Cumbernauld East councillor Paddy Hogg took an alternative stance regarding these issues, welcoming the fact they were being openly discussed in public. “The headline here is that North Lanarkshire Council is putting an end to nepotism and cronyism,” he said.